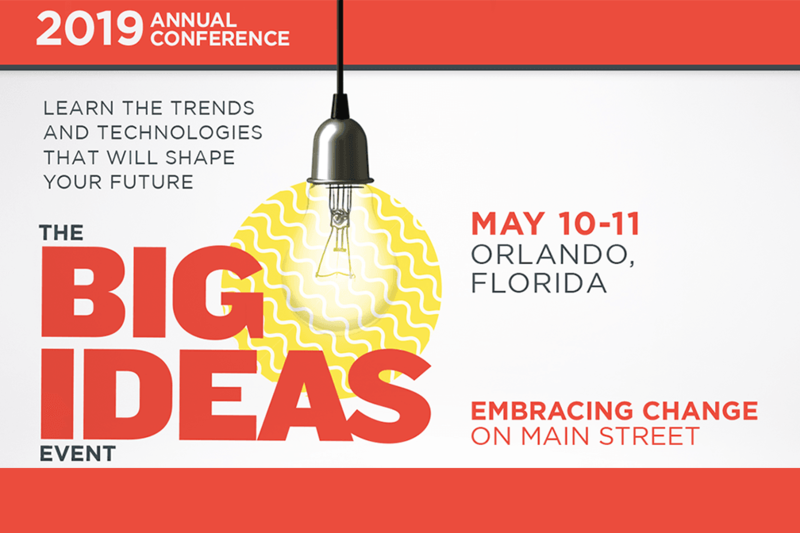 Having access to the most relevant and advanced Main Street educational opportunities. Being part of a network of business brokerage professionals which are aware of each other, regularly communicate with, and learn from each other. Education comes from two options, the self-taught school of competition and hard knocks, and that which is learned from others as a result of a mentoring relationship. It could also come from reading, classes designed to focus attention on actions, and activities that have produced success for others. I’m here to bear testimony that the latter is much more effective and less costly than the former. The deals that did not produce the expected outcomes are well remembered, but it is not always clear exactly what I did wrong. I understood what it cost to lack the knowledge and skill to reach the closing efficiently, but I often only knew what not to do next time, not what I should have done. I have had the privilege to be part of the IBBA education program for 15 of my 32 years. In business brokerage, I have found that this is an endless journey, not a once and done thing. The more I learn, the more I appreciate how little I really know. In hindsight, I realize that my failures were almost all avoidable. If only I had known how to do “X”, I probably would have closed the deal and earned a fee. Or at a minimum, closed the deal with much less time and resources than were actually spent. Business Brokerage is a dynamic activity. There are many moving parts and those that learn the fundamentals early and develop the contacts with other experts (successful brokers and intermediaries) in the industry will enjoy the greatest success. The Sellers reasonably expect you to be the Expert. The Buyers will respect and conform to your level of expertise. Other brokers will seek your participation and be willing to share with you based on their respect for your level of knowledge and skill. Therefore, it is logical that anyone seeking success as a business broker or intermediary will want to be as well educated, qualified, and prepared for the assignments available. Why should anyone refer you to someone else, or select you to broker either the sale or the purchase of a business if you are not the best qualified for the challenges of the task? Education precedes experience. Together they lead to success. Get It & Share It! It is not uncommon for deals to get off track after an offer is accepted, and often it is the result of inadequate communications between the broker, the buyer, the seller, and/or their attorneys. One technique to mitigate the problem is to use a closing checklist and frequent conference calls between the buyer, seller and broker. The ideal type of closing checklist will use the “What-Who-When” format, also known as a W-3 form. It states What needs to be done, Who should do it, and When it needs to be completed. For example, “Collecting Due Diligence Documents” would normally be assigned to the Seller and Broker, and this would be done within a few weeks of acceptance of the offer. The document below is a sample of a format that the Broker may use. It should include every task that must be completed up to and after the closing date, and there is no limit to the number of tasks or milestones that must be completed on any given transaction. Obtain from Closing Agent advance copies of closing documents & ensure distribution to Buyer & Seller for their review. In addition to the closing checklist, it is recommended that the Broker schedule a conference call within a few days of the acceptance of the offer with the Buyer and Seller. The purpose of the call is to go through all the items listed on the closing checklist so all participants know the schedule of events up to the closing date. For instance, if the Buyer is seeking bank financing, then the closing checklist might state that the Buyer will submit his completed loan package to one or more lenders within 15 days of offer acceptance. An additional milestone would then be that the Buyer should produce a loan approval letter from the lender within 45 days after applying for the loan. Since loan approval is a critical point in the process, certain tasks may be delayed until this milestone is completed. If the business is a franchise, the closing checklist should include any steps the Buyer and Seller may have to take so the Buyer can be approved to acquire the franchise. In some cases, the buyer may have to complete the franchise training prior to the closing of the sale, and in other cases after the sale. A restaurant Buyer may need to complete a Food Manager Certification & Training program required by the Health Department. The Buyer of a car dealership may have to apply for a dealership license from the state prior to closing the sale. The Buyer of a liquor store or bar may have to apply for a state liquor license and be approved prior to the closing. The Buyer of a wholesale distribution business that sells a certain brand of electronic equipment may have to be approved by the electronic equipment vendor to continue to sell the product after the closing. A foreign visa buyer will most likely want to receive their visa prior to the closing. It is important to note that it is incumbent on the Broker to understand if any special milestones need be included on the closing checklist. If a letter of intent was used to make the offer, then one of the milestones should be the submission of the draft purchase agreement from the Buyer. This should occur at least 2-3 weeks prior to the planned closing date to facilitate any negotiations that might need to take place. This may also require a conference call or two between the Buyer’s and Seller’s attorneys. The same should apply if the Seller will be offered an employment or consulting agreement as part of the transaction. and to make sure the correct emphasis is placed on events with upcoming due dates. Good communications are essential to keeping deals on track, and it is the Broker’s job to keep everyone informed, address any issues or mis-communications immediately, and use experience and creativity to solve any problems. By following this Best Practice and other IBBA recommended Best Practices, a Business Broker will earn the respect of both the Buyer and the Seller. Such respect leads to referrals and helps solidify the Broker’s personal brand! 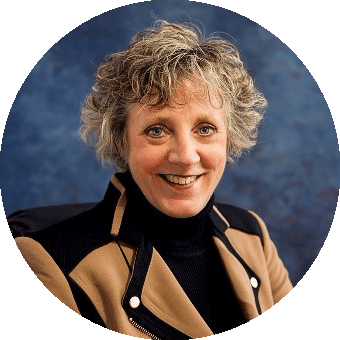 Join Julie Hutslar, of Advantage Interpersonal Relations Training, to learn the four basic ways people express themselves. Learn how to recognize them; how to understand and be understood; how to offer appreciation and acceptance in their language; and how to bridge the gaps to connecting and communication. Don’t you hate it when you’ve spent 6 to 8 months marketing one of your listings, finding and qualifying buyers, and negotiating a great deal for your seller, only to be stunned by a deal-killing surprise just weeks before the closing? Most such surprises are preventable, or at least fixable, early on. Serious problems found by a buyer during due-diligence can result in a decreased purchase price, lenders pulling out, or even the deal falling apart. This article provides some of the things that a Business Broker should do to get to the closing table without the stress of surprises. It really doesn’t matter whether you’re selling a $100,000 business or a $2 million business. Paying attention to the details, doing good detective work and being prepared are the keys to avoiding problems. Your “diligence” should start at the very beginning, when you first meet your potential seller. Due diligence is something that is commonly performed by the buyer once a Letter of Intent or purchase agreement is signed. During my initial conversations with prospective sellers, I begin what I call sell-side due diligence. I spend much time making sure that I not only understand the business, but also understand the thinking and personality of the owner. Be sure to ask many questions and continue to drill down if you hear or learn anything that doesn’t quite make sense or sounds suspicious. Try to uncover liability issues and other exposures during your initial conversations with the seller and continue to be watchful for anything that may be a hiding. Before your first meeting, do some simple checking of public records. For example, the Secretary of State website will usually have information about the business entity type, managing members or officers, as well as other information. I visited a company knowing that it was registered as a not-for-profit entity. It is not unusual for a not-for-profit entity to sell assets to other entities. You can imagine my surprise when the President told me he was making a lot of money from “his” business and wanted to sell it. After I pointed out that a not-for-profit entity could not be sold and that he could not receive any proceeds from an asset sale, I quickly ended the meeting and said goodbye. By checking public records, I saved myself many hours of work. Business Brokers are anxious to get listing agreements signed. Once that agreement is signed, you have obligations to your seller and must spend considerable time developing marketing materials, advertising and qualifying buyers. Don’t enter into a listing agreement until you are reasonably confident that the seller is being forthright and there are no big surprises down the road. Before committing yourself to an unfruitful and time-consuming assignment, do some basic research about the company, the industry and its regulatory requirements. Local and state statutes and regulations are continually changing. This is particularly true for private post-secondary school businesses as well as healthcare service businesses. In many cases, the change of ownership process is restricted or filled with significant hurdles that need special knowledge and time. Check with an industry expert before you commit to an assignment, particularly for a company in a highly regulated industry. You can spend an inordinate amount of time and effort only to learn that the deal that you have been nurturing for six months is impossible to consummate. Carefully review your seller’s tax returns and financial statements. Make sure they are consistent with each other. During your recasting activities to determine the business value, spend the necessary time with the owner to understand each line item. Particularly in small businesses, there will be several expenses that may have been spent for the personal benefit of the owner and/or his family. Be sure to identify those and add them back for your calculation of Discretionary Earnings (“DE”), only if the owner has evidence of such personal expenditures. To the extent that the owner can minimize those entries during the current year, have the owner do so. Excessive add backs may save the owner some taxes but does little to engender the trust of the buyer. Most importantly, carefully check all the transactions that contribute to the revenues. We always like to work with accrued financial statements when estimating DE. However, you may have access only to cash basis tax returns. Study the transactions particularly at the beginning and end of the year to account for delayed payments of expenses or large deposits at the end of the year for unfulfilled orders. For example, if only 10 months of rent are shown on the tax return, that will artificially increase DE. Be sure to adjust that. Make sure Revenues are normal sales from operations and not something else, such as income from investments. Find as many irregularities as you can and get them corrected. If you don’t do it, the buyer will certainly find those irregularities during due diligence. Review the payroll and check for family members. Make sure that family members who work at the company are being paid at market rates. If not, make the appropriate adjustments, including disclosures. It is not uncommon to find a spouse being paid far more than reasonable for the work performed. It is also possible to learn that a spouse is performing a considerable amount of work and not being paid. Again, make sure this is disclosed with your recast financial statements. In the former case it was probably done to inflate expenses, saving taxes. In the latter case, intentionally or not, it will have the effect of making the business look more valuable than it really is. Again, the buyer will find it. And when he or she does, it can significantly lower the price paid, or even blow up the deal. Make sure the inventory is stated properly. Many times, owners will understate ending inventory to save taxes. Then the seller will ask the buyer to pay for inventory that he previously claimed did not exist. Be sure to adjust the inventory and cost of goods sold in order to come up with an accurate value of DE. However, don’t take the owner’s value of inventory as gospel. As a Business Broker, make it your business to inspect the inventory, making sure that the amount claimed is reasonable. Also, find out how much inventory is obsolete and unsalable. You can use a third-party to value the inventory or you can use a few tricks of our trade to check your seller’s contentions. I like doing “the white glove test”. Walk around the warehouse and run your hands over the cartons on the shelves. If that inventory is regularly moving as it should be, your gloves will be relatively clean. If you find a lot of dust, beware: that is probably dead inventory. Have you ever had a seller tell you that they take in a lot of cash and therefore wants you to adjust the revenues to reflect those “phantom” sales? In some industries, such as restaurants, that may be the case. However, you as the Business Broker need to scrutinize the veracity of the seller’s claims. There are many ways to do that, depending upon the industry. Comparison of the financial statements to that of benchmark industry data is certainly a place to start. You can also check the purchases and the expenses to see if the claimed sales are consistent with those costs. An example is cash revenues generated by a coin laundromat. A bit of detective work and mathematics will determine the true sales. Every load of laundry and every dryer cycle will generate a specific amount of water and/or electrical usage. So, by reviewing the various utility bills, it is easy to estimate the reasonable amount of revenues generated by the business. As a Business Broker, you will gain great pleasure when reporting the “real” annual sales to your red-faced seller. A Letter of Intent is a very effective tool at controlling expectations and avoiding deal killing surprises. Many people believe a Letter of Intent simply states the anticipated price and terms of a deal, and that it is nonbinding. Be careful, Letters of Intent can be binding on the seller, tying him or her up for months while being beaten up by the buyer. If your seller receives a Letter of Intent and would like to proceed with the buyer, a good attorney can revise the Letter of Intent to strengthen the seller’s position. For example, while there are usually exclusivity periods, they should be kept short and the buyer must meet critical milestones for the deal to proceed. If a deal is not going to work, it is best to find out in a few weeks rather than a few months. We do not want the business to be off the market for longer than necessary and we don’t want the seller from being distracted from his real duties, which is to successfully run his business. The Letter of Intent can also set expectations for items that are generally negotiated late in the deal cycle, usually to the detriment of the seller. For example, I like to include how working capital is defined and to set a reasonable target. It is also important to specify how inventory will be treated. Many times, the allocation of purchase price (IRS form 8594) is not discussed until closing. However, this latter issue can have a significant impact on the net proceeds after taxes for the seller. Additionally, by setting expectations in the Letter of Intent, the development of the purchase agreement will become a much easier task. I like to educate my sellers early on about due diligence. I let them know how difficult the process may be for them and prepare them in advance for some distraction and frustration. On the other hand, I do everything I can to make sure that all skeletons have been previously disclosed, and all information provided to the buyer is as accurate as possible. We then set up a due diligence team, usually consisting of the seller’s accountant, attorney and one key employee. We have all the information ready in advance and available to the buyer and the buyer’s representatives. In the Letter of Intent and in the purchase agreement we specify the due diligence procedures, timing and deadlines. We do not allow for due diligence to become a distraction that could hurt the operation of the business. Most importantly, we do not want any surprises during due diligence. A buyer loves finding undisclosed or inaccurate information, providing an opportunity to renegotiate the deal. So, to the extent that the seller and his advisers have provided all relevant disclosures and accurate financial information, the due the diligence process should go smoothly. And, with the agreed-to process guidelines and milestones in place, the buyers must necessarily behave professionally and earnestly. So, if you vet both the business and your potential seller in advance, prepare the seller properly for the selling process and follow the above guidelines, you can get to the closing table with perhaps only a few surprises, none of which should be deal killers. Happy Closings! Dr. Barry Berkowitz joined the IBBA in 2002. He earned his CBI soon after, as well as the M&AMI from the M&A Source. In 2015, Barry was appointed as the Chair of IBBA Affiliates Council. He became a Fellow of the IBBA in 2014 and the following year he received the prestigious Tom West Award. He is currently serving on the IBBA Board of Governors as Chair of Education. 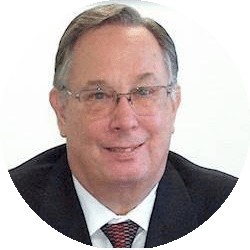 Barry is a licensed Real Estate Broker (FL) and is President of Berkowitz Acquisitions, specializing in Technology, Manufacturing, Education and Healthcare. Barry also currently serves as an officer of Business Brokers of Florida. Dr. Berkowitz started his career as a scientist and then a manager of materials engineering at Exxon. He published extensively and holds several patents. Barry received his BES, MS and PhD degrees in Engineering and Materials Sciences from Stony Brook University. Geared to business brokers and business buyers and sellers, “The Real Deal” podcast offers fascinating stories, helpful tips and insightful tales from experts in the business buying and selling industry. Listeners in other industries, such as sales, marketing, finance or legal, will also find this podcast entertaining and insightful. Stay tuned for season one episodes, including: “Myths and Misconceptions About Buying a Business,” “Blindsided: Surprising Reasons Deals Don’t Close” and “Deal or No Deal: When to Walk Away.” Experienced business broker and past chairman of the IBBA, Cress Diglio, will host passionate conversations between some of the best business brokers in the world and other distinguished guests. Premiering soon, look for “The Real Deal” by IBBA on Apple Podcasts. Every company has a natural lifecycle. While the name on the business may remain the same, the philosophy, goals and objectives change as the ownership changes. Unfortunately, many owners unwittingly sabotage the value of their business by failing to plan for its eventual sale far in advance. Selling your business may be the farthest thing from your mind right now, but time waits for no one. At some point, your company will be passed on to the next generation, closed or sold. If you envision selling anytime in the future, it’s important to avoid some common pitfalls that undermine the value of your business during negotiations. Failing to Train Your Replacement: Many companies are run by an owner/operator. From a buyer’s perspective, this is a significant weakness. While you may experience a sense of satisfaction knowing your business can’t operate without you, it will severely diminish its value to a buyer. To enhance intrinsic value and ensure all your employees’ jobs are secure, train a key member of your team to handle every phase of the operations side of your business in your absence. Failing to Diversify: Many business owners rarely venture outside of their comfort zone when pursuing business opportunities. While it’s easy to ignore other revenue sources when the business is making money, lack of diversity can negatively impact the worth of your company. Diversity provides protection from economic downturns, and buyers value companies that aren’t dependent on a single source of revenue. Failing to Keep Accurate Financials: Buyers will always ask for tax returns and financial statements for the last five years. If your financials aren’t in order, the buyer has nothing to use as a basis for establishing the worth of the business. This is especially true if you’re asking for “goodwill” compensation. Without an accurate and complete set of financials, you should expect a significantly lower offer. Failing to Develop a 5-year Plan: Always anticipate that a buyer knows nothing about your industry. A well-conceived 5-year plan offers a valuable blueprint the prospective buyer can use to guide the business going forward. If you don’t end up selling, the exercise itself has intrinsic value for charting a course into the future. Failing to Establish Authentic Receivables: Too many small business owners tend to ignore past due receivables until they turn into bad debts. Savvy buyers won’t be fooled into paying for debts that are over 90 days old. A healthy days-to-collect average of less than 45 shows a buyer that your receivables and customers are legitimate. 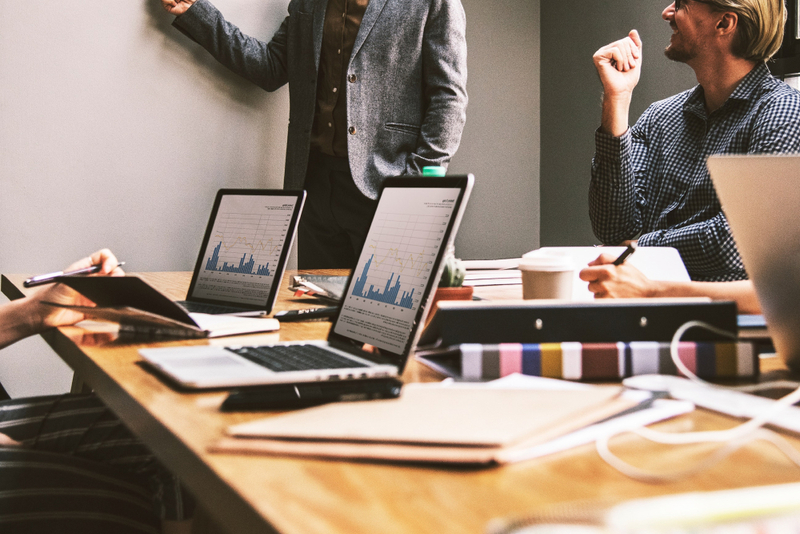 Failing to Ensure Your “Team” Remains Intact: Long before you’re ready to sell, it’s important to lay the groundwork with your business partners. Stay agreements with key employees can be a great tool ensure that employees important to the succession of the business stay on payroll post sale. If you want to sell your business for the highest price, eliminate uncertainty. When your entire team is committed to working with the new owner, that confidence will be reflected in the offer you receive. The US small business landscape is populated by small, family-owned businesses. There are far too many heartbreaking stories of companies not selling or sold at fire sale prices because of sudden illness, death or retirement. If you fail to plan for the sale of your business years before you’re ready to sell, you’re almost guaranteed to receive a lower offer. Many small business buyers are sophisticated and have a good feel as to the true value of your business. You’ve spent a lifetime building equity into your business, so don’t let it slip away due to poor planning. Take the time to develop a strategy for selling your business to benefit yourself and your family. 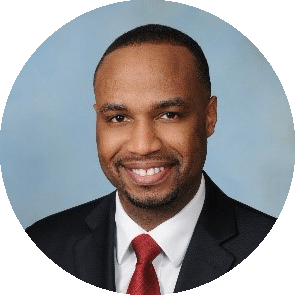 As managing partner of New York Business Brokerage, Kyle is highly skilled at implementing successful marketing strategies for business owners seeking to effectively sell their business in today’s market. Kyle has advised and sold multiple companies over a broad range of industries. He represents privately held companies with revenues between $2M-$20M. If you would like to discuss this article or schedule a private and complementary consultation, please contact Kyle at [email protected] or 631-339-0249. The internet has become a tremendous way for buyers to find information on thousands of potential businesses for sale. However, as great a tool as the internet maybe it does not replace the value of an experienced Business Broker. In fact, the internet has become a source of way too much confusion. There are so many businesses out there and there is so much information on those businesses that the buyers have to weave through Them all. They often miss the one business that could be right for them. Many potential buyers study every ad, sometimes for months, just trying to find that perfect opportunity. With all that information out there it becomes so overwhelming that they often just give up on their dream of being their own boss. Rather than giving up these buyers could benefit from actually talking to a Business Broker who will take the time to help them determine which businesses are right for them and will be there to help them navigate through the whole process. After all, buying a business is a complicated and sometimes scary move. As Business Brokers we go through the process every day, but most of our buyers do it once or twice in their lifetime. Even experienced buyers sometimes make mistakes that a Business Broker can help them avoid. There are some very good Business Brokers who take the time to call back their buyers and do a thorough buyer interview. A serious buyer appreciates this because they know someone cares enough to get to know them first hand. Many Business Brokers even employ a Buyer-Broker Agreement so the buyer can engage them personally to find them a good business. This can be a great tool and can even open the doors to businesses that most buyers never see. The point is internet may be a quick and easy way to share information, but it still can’t replace the connection that is established between that serious buyer and a professional Business Broker who has all of the tools and knowledge to help a buyer successfully acquire the right business. Steve Benson has been a business broker since 1979 and has been involved in nearly 2000 business sales. As such he is certainly among an elite group of brokers when it comes to experience. Steve has owned and/or brokered 10 business broker offices in his career including some of the top offices in his network. He has won numerous awards including Top Office Awards, Top Salesperson Awards and the prestigious “Business Broker Hall of Fame” with the various organizations he has been involved in. He is a past Chair, a past Vice Chair, and is a past Director for CABB. During his career Steve has developed or helped develop many courses for the industry and has trained Business Brokers all over the US and in Canada. With his extensive experience Steve has the knowledge needed to handle just about any business type out there and invites you to call and discuss your questions or concerns about buying or selling a business. The International Business Brokers Association (IBBA) is excited to announce that more than 500 individuals have achieved its prestigious Certified Business Intermediary (CBI) designation. 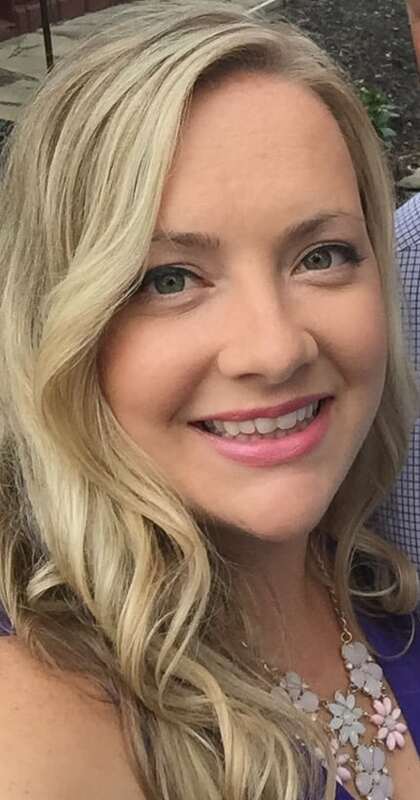 “This is a very challenging and time intensive certification to achieve,” said Jeff Snell, IBBA Credentialing Committee Chair and 2019 IBBA Board Chair-Elect. “It takes dedication and a personal commitment to excellence to complete the program. Business sellers and buyers want to work with the best during a business sale, and CBIs stand out as the industry leaders.” CBI certification represents the gold standard in the business brokerage industry and is granted to individuals who complete required course work, pass an extensive competency exam, and agree to uphold the IBBA’s Professional Standards and Code of Ethics. The IBBA is on track to surpass its previous all-time high of 523 CBIs in 2009. 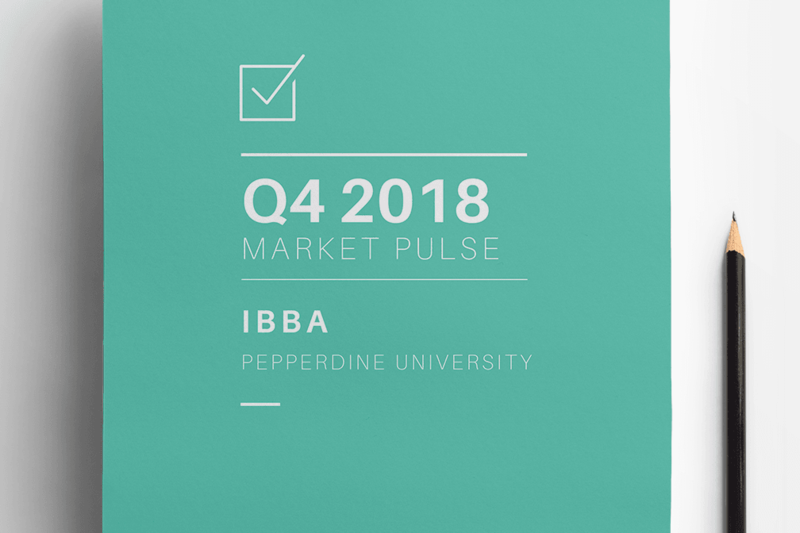 Optimism in the M&A market is at an all time high according to findings from the Q2 2018 Market Pulse Report published by the International Business Brokers Association (IBBA), M&A Source and the Pepperdine Private Capital Market Project. Twenty-one percent of business advisors surveyed say 2018 is the best year they’ve ever seen for business owners to sell their businesses. Another 37 percent say it’s the best time in five years, and 17 percent say it’s the best in the last 10 years. Consistent with general market optimism advisors believe seller advantage is growing, with year-over- year seller-market sentiment increases in all market sectors. In the Main Street market, for businesses valued at less than $500,000, seller market sentiment is at the highest it’s been since the survey started in 2013. Learn more about the CBI HERE! 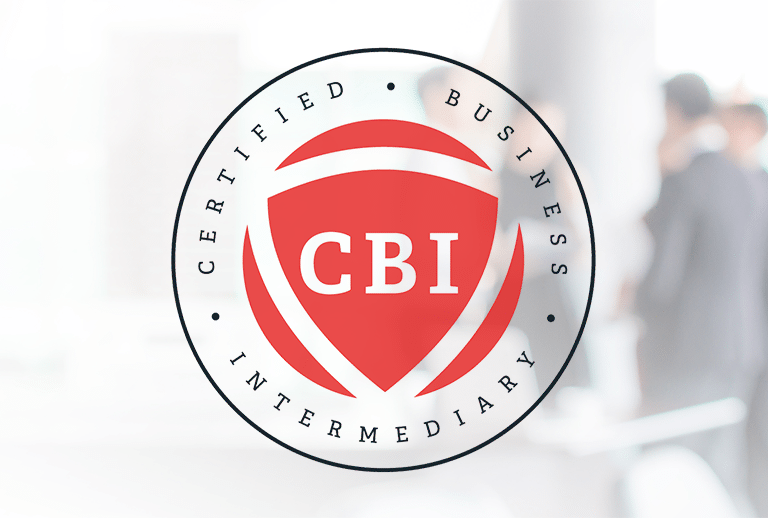 When you want to work with the best intermediary to buy or sell a business, look for the CBI designation. 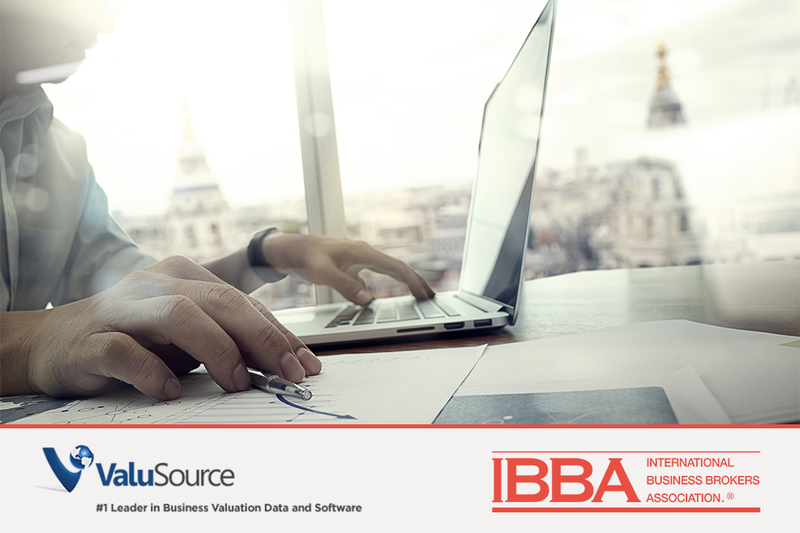 We invite all IBBA Members to join the IBBA Facebook and IBBA LinkedIn Member Groups! Use these as a tool to communicate with your peers to get conversations started to get engaged! 1. LIKE the IBBA Facebook page. 2. REQUEST to join the IBBA Private Group. 3. Once approved, START a conversation! Get your AON quote now! Get Connected to the IBBA!